"Whitworth College, a private liberal arts college associated with the Presbyterian Church, calls Spokane, WA home, and its 2,500 undergraduate students call themselves "a community of Christian scholars." They find relaxation in activities like mountain climbing. Many also study abroad at some point during their four years here." Describe the type of student who should not attend Whitworth University and explain why. Describe the type of student who should attend Whitworth University. Why? Any student who is willing to learn could attend Whitworth University. Whitworth's motto is "education of the mind and heart" so if a student wants to attend Whitworth, they need to be ready for a wholesome, liberal arts education. What is a typical Whitworth University student like? Describe the type of person that should attend Whitworth University. What are the top 3 reasons someone should attend Whitworth University? What was a typical Whitworth University student like in high school? Describe the type of person that should attend Whitworth University. The typical Whitworth University student seems like they were very active in high school. they would get involved in many sports and clubs. Since 1890, Whitworth has held fast to its founding mission of providing "an education of mind and heart" through rigorous intellectual inquiry guided by dedicated Christian scholars. 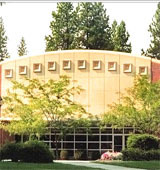 Recognized as one of the top regional colleges and universities in the West, Whitworth University has an enrollment of nearly 3,000 students and offers 60 undergraduate and graduate degree programs. In recent years, Whitworth has enjoyed record levels of student enrollment and retention, the strongest financial position in the university's history, and increased external visibility. Whitworth University's 200-acre campus of red-brick buildings and tall pines offers a beautiful, inviting and secure learning environment. More than $83 million in campus improvements have been made over the past decade, including a new center for the visual arts, a landmark general academic building, three new residence halls and several outdoor athletics facilities. Construction is under way for a new science facility that is slated to open in fall 2011. In all of these endeavors, the university seeks to advance its founder's mission of equipping students to "honor God, follow Christ and serve humanity." What are the top 3 things that students do for fun at Whitworth University? The average student pays $25,750 for tuition, fees, and other expenses, after grants and scholarships. Total stated tuition is $35,320, in-state and on-campus, before financial aid. Learn more about financial aid at http://www.whitworth.edu/administration/financialaid/parents/index.htm. Estimate the net price for you at http://www.whitworth.edu/administration/financialaid/financialaidcalculator/index.aspx. The typical (median) early career salary of Whitworth University graduates is $38,100, according to Payscale. Whitworth University participates in the NCAA Division III for college athletics. Want more info about Whitworth University? Get free advice from education experts and Noodle community members. I am interested in giving a gift card to the college bookstore to one of your incoming freshmen as a high school graduation gift. Is that a possibility? I recommend calling the bookstore directly at (509) 777-3277. They are open Mondays-Fridays and close at 5pm.